The return of Mr.worldservice give me great joy, and walk through the rural Senegal filling me of satisfaction. 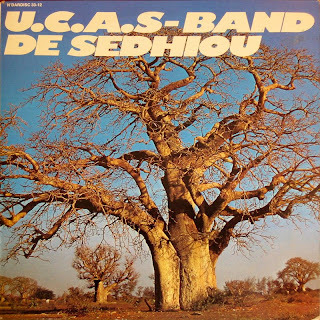 To know everything about this band, it's best to consult Senegal sources here. @Ngoni: Thanks for that useful addition. I have the second album "Ceddo" on cassette, but find this far less interesting than the first (and the CD from 2003 is even worse, in my opinion). thank you very much! glad you're back. This album has to be a reprint, the Pirineos Sur festival began in 1992 and they would participate as substitutes, if they do it. But what I care about now is to identify the song Regret that is a known song, the other known song is Nao-Waite,signed as Nafanta by Ismael Lo. This album is top class...thanks for the privilege of listening to this great band I had only read about.Best regards.